Though their planet is dying, Cricket Sminth is still furious at her parents for having tricked her into leaving home. 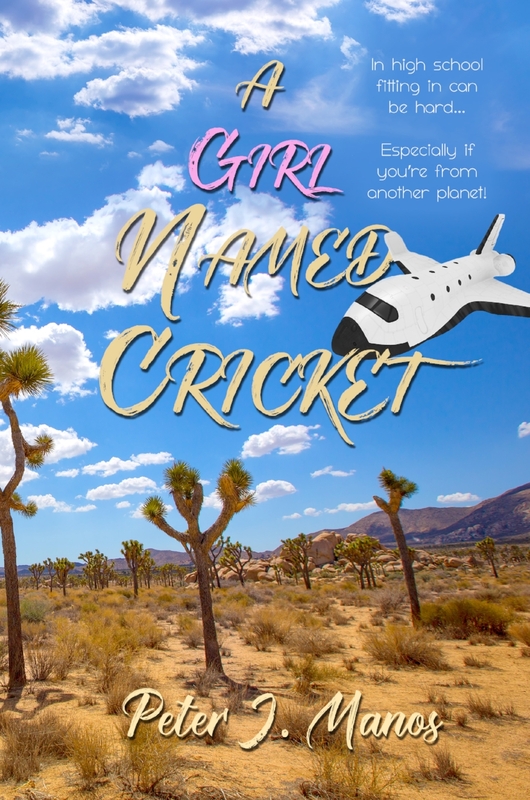 What’s more, in the form of a sixteen-year-old girl, she is now forced to enroll in high school in the little Mojave desert community of Prickly Pear, California. Cricket’s disdainful behavior makes enemies of everyone in town including Claudia, the mayor’s daughter and Tom, the one-armed boy she’s strangely attracted to. To make matters worse, Immigration and Customs Enforcement had begun to investigate the Sminths. But the biggest danger by far is Levi Barker, the violent leader of a motorcycle gang who has taken an unwelcome interest in the odd girl. Although boys as well as girls will enjoy this book, so will so-called mature readers. The story offers suspense, humor, romance, the tropes of sci fi, and an extraterrestrial's view of contemporary issues such as the plight of undocumented immigrants and the question of sanctuary. To see the ebook version go to one of the following websites and search for the book there: Kobo, Barnes and Noble, Smashwords, or Amazon.